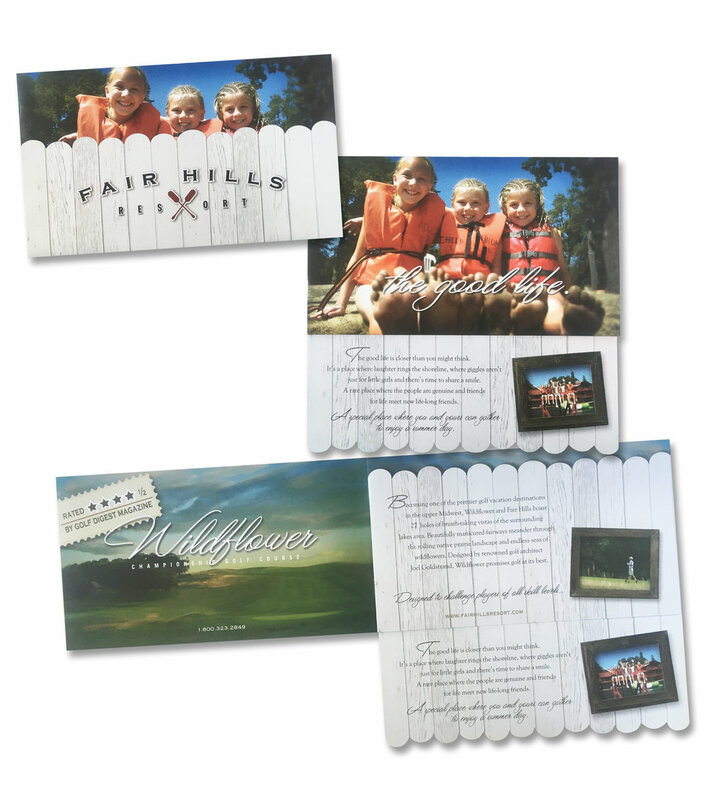 Fair Hills Resort is a multi-faceted world-class family vacation destination in northern Minnesota. 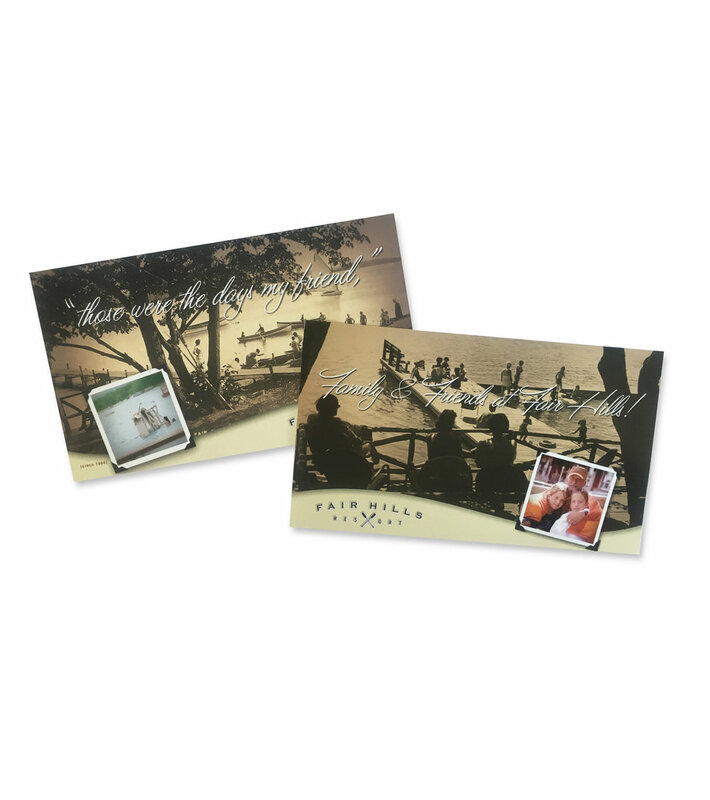 When the original patriarch of the family who owned it passed it down to his children they felt it was the perfect time for their identity and marketing to reflect the unique, upscale and truly authentic blend of nostalgic ambience, first-class amenities and the spectacular location of the resort. 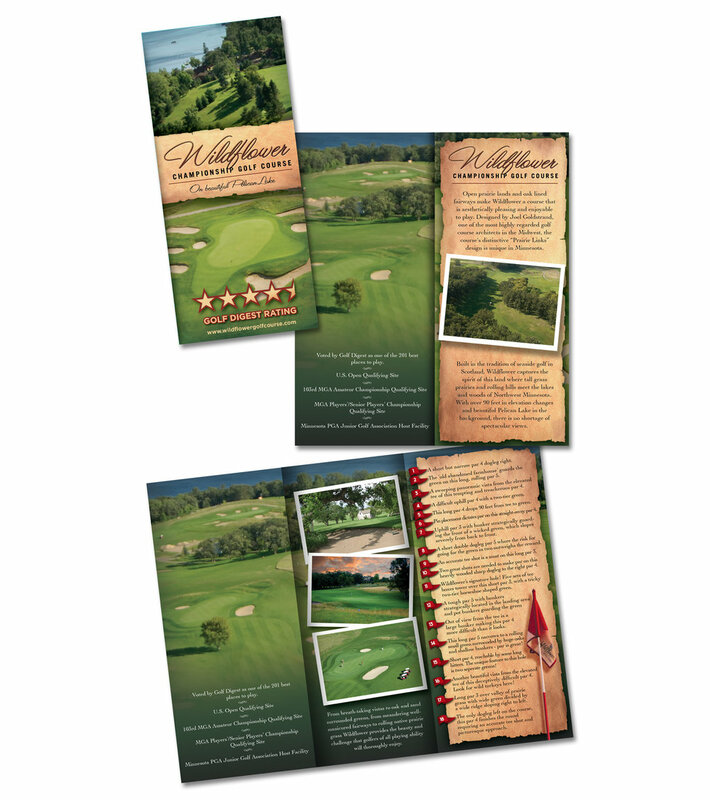 Consisting of the main resort with its vintage lodge set on a pristine stretch of beautiful beach, Wildflower, the championship caliber golf course that draws players from all over the upper midwest and the more rustic and epic experience of a summer lake vacation on Lake 5, Fair Hills Resort offers a wide variety of experiences for broad range of guest demographics. Whoville developed a design language that worked across the different venues creating consistency, but still allowing each destination to have its own perfectly aligned identity. 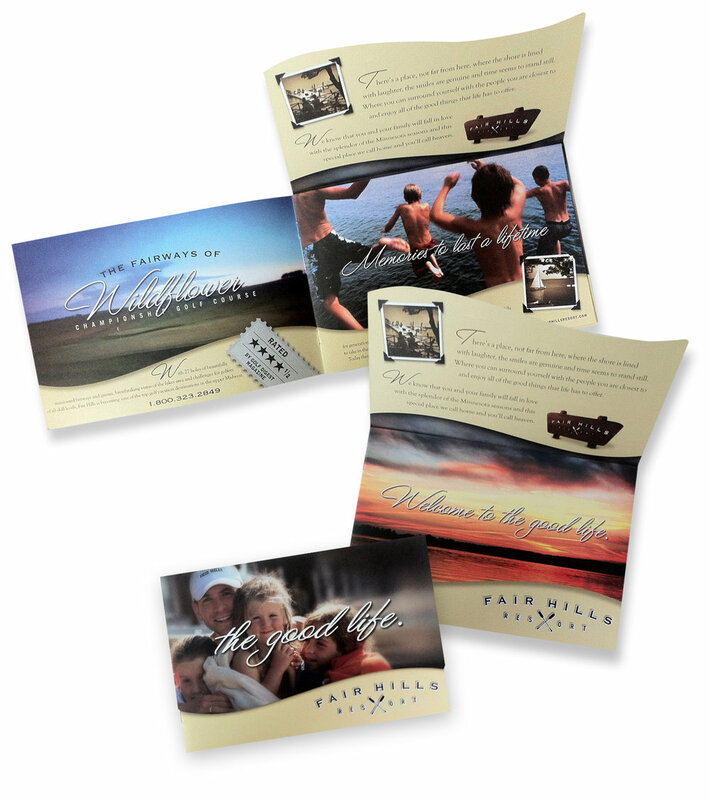 The marketing materials and advertising we've created for Fair Hills Resort has established their properties as some of the premium destinations in the upper midwest of the United States. Whoville is ready to take your service, company, brand or properties to all new heights! 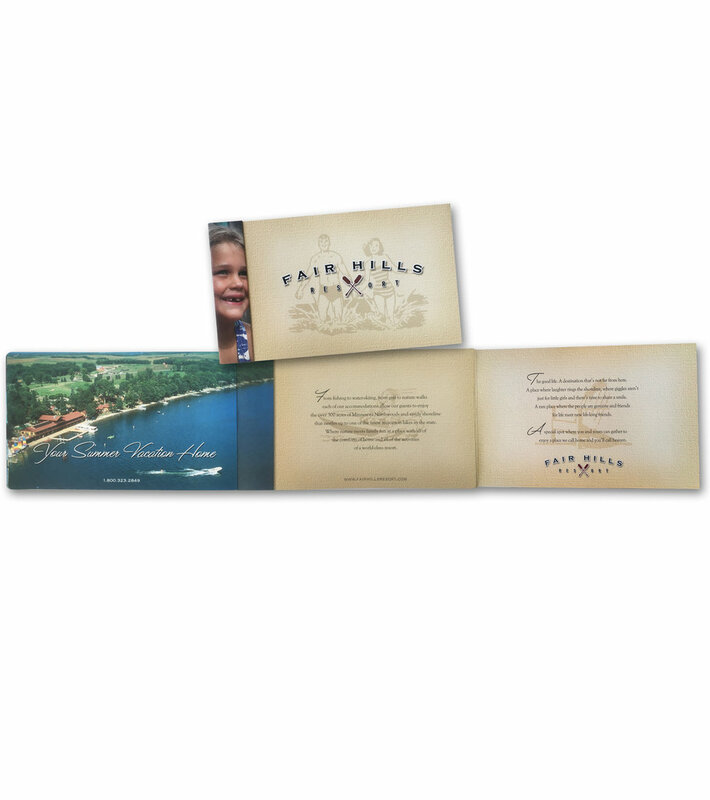 Take a peek at some of the brochures, marketing materials and advertising we've created for Fair Hills Resort below and think about how we could add some magic to your service, company or brand with creative and emotive design.